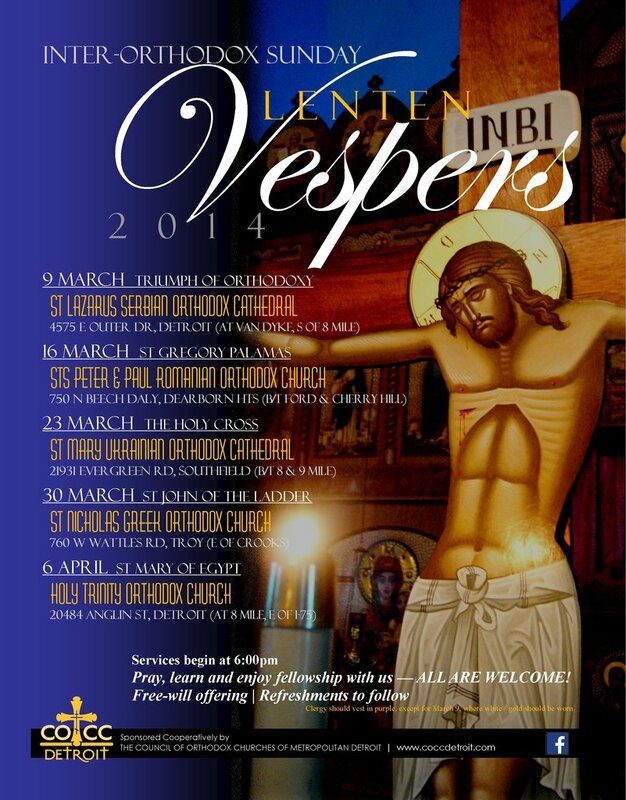 One of the main activities of the COCC has long been its annual series of Inter-Orthodox Sunday Lenten Vespers. Clergy and laity from throughout Metro Detroit are hosted by various parishes for the Vespers service followed by fellowship. A different priest is invited to offer the sermon each week, and the responses are lead by the Pan-Orthodox Choir of Metropolitan Detroit. Everyone is invited to join us!